Just over a month ago, a major warehouse complex in Daventry fell victim to an arson attack. While the police still don’t know why the warehouses were set on fire, the consequences are plain to see- and extremely damaging to those with stock inside the warehouse. Some £20 million of this stock was destroyed, and the warehouse itself was reduced to little more than a smoking pile of rubble. Since the fire spread so quickly, there wasn’t much that firefighters could do other than try to control the blaze- a reminder of just how devastating an arson attack can be. There are a number of reasons why criminals might turn to arson. It may be the case that they simply want to cause a huge amount of damage to their chosen victims and see fire as the easiest way of going about this. Others will light a fire after a burglary as a way of covering their tracks and destroying any evidence that they may have left behind. However, regardless of why the fire was started, the arsonist’s handiwork will still cause a huge amount of damage if left unchecked. Luckily, as Glasgow’s number one choice for fire and security systems, SSH are fully equipped to help you fight back against the risk of arson. Don’t leave your business vulnerable to an attack. Instead, work with us, and we’ll ensure that your property is always protected. Ideally, you’ll want to prevent an arson attack from happening in the first place. CCTV cameras and security systems are an extremely effective way of making criminals think twice before targeting your business. They don’t want to get caught, and if they can see you’ve got a high-tech security system in place, they won’t want to risk setting off an alarm and being caught on CCTV cameras. You can also use CCTV cameras to keep an eye out for anyone showing an unusual amount of interest in your property. Often, these people are scoping out your business with the intention of committing a crime later on. If you can spot this and report the suspicious person to the police, then you will be able to stop them in their tracks and avoid an arson attack. Even if they can’t be charged with a crime, they will still be scared off by the knowledge that you are keeping an eye out- the risk of getting caught will be too much for them to consider targeting your business. To ensure that there’s always someone keeping an eye on your business for you, SSH Fire and Security offer a fully monitored CCTV system service. From our control centre, our team of professionals will watch over your property day and night. By fitting advanced CCTV cameras that provide a crystal-clear image, they can identify any and all threats and suspicious persons, and immediately report them to the police. You get all the benefits of a security guard service but at just a fraction of the cost. While our security systems have an incredibly high success rate of stopping criminals in their tracks, it is still a good idea to also kit your business out with one of our fire alarm systems. That way, even if the worst happens, the fire brigade can respond fast to put out the fire before it gets out of control. We offer a wide range of different fire alarm systems, and just like our security systems, we design a unique solution for every customer. Arson attacks shouldn’t be taken lightly, and with the right fire alarm system in place, you can dramatically reduce the risk of your business ending up like that warehouse in Daventry. 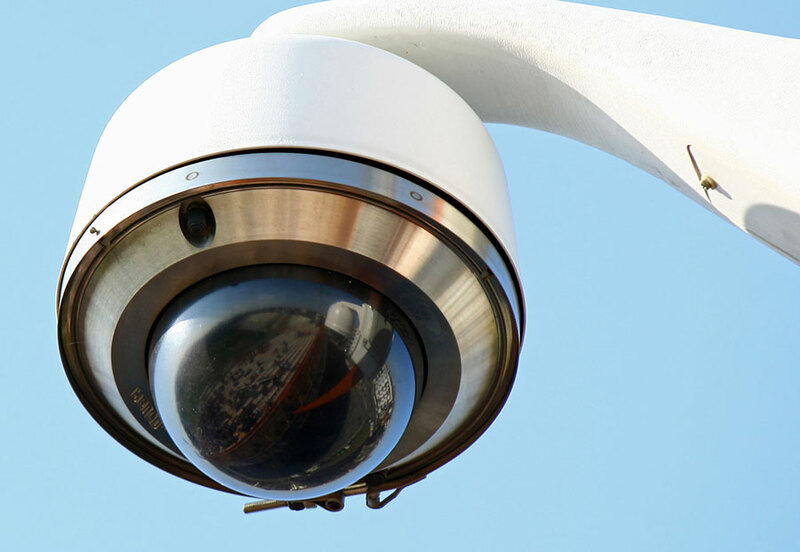 What Makes Our CCTV Cameras So Effective? Like most criminals, arsonists tend to carry out the majority of their attacks by night. They know that most businesses are likely going to be deserted at these times, and they can use the darkness as cover to dodge CCTV cameras and other security systems. For that reason, SSH recommends using CCTV cameras that come fitted with special LED lights. When the camera senses that it is getting dark, it will activate the lights, and switch to black-and-white mode to further boost visibility. What’s more, these lights also serve to make the CCTV cameras themselves more obvious and therefore deter would-be arsonists from trying their luck. Of course, CCTV cameras can only do their job properly if they have a clear, unobstructed line of sight between them and their target. It is thus a good idea to ensure that any trees around the perimeter of your property are kept trimmed back so that arsonists can’t use this cover to sneak past the cameras. It’s also important that your CCTV system is set up so that all points of entry are covered. Fortunately for you, our expert technicians will be happy to carry out a free survey before they begin work, to design a system that will cover all angles. That way, you can be sure your CCTV system won’t let you down, and that our monitoring team will be able to report any suspicious activity to the police immediately. While the thought of an arson attack is certainly scary, remember that you aren’t alone. At SSH, we’re always here to help meet all your fire and security system needs. Our expert surveyors will be happy to work with you to design a custom security system around your unique needs, to give you the maximum amount of protection against arson attacks. Together, we can fight back against these criminals, and ensure that you aren’t putting your business at unnecessary risk. Be sure to get in touch today on 0808 164 0280 to find out more about what we can do for you!